The Espressione espresso machine. 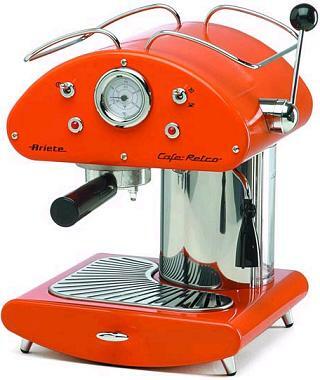 Cafe Retro is made of steel with thermo-painted metal finish, toggle switches with indicator lights, temperature gauge, pull down lever for steaming and frothing and removable tank with water level visible among other features. Available in orange, red, black and silver. Buy Espressione espresso machine . The all stainless steel Pola is manufactured in Italy. Easy to clean. 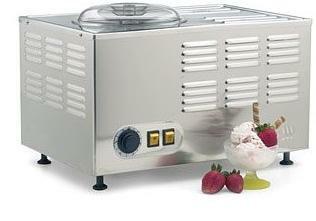 Can be used for ice cream, gelato, frozen sorbets, etc. 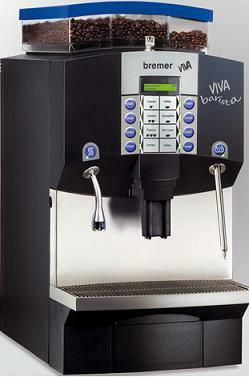 The Viva Barista is fully automatic and brews a prefect cup with a touch of a button. Prepare three different quantities of espresso – single, double or triple, coffee with cream, brewed coffee and decaffeinated coffee. LCD display allows easy control. This espresso coffee maker offers a compact design perfect for a smaller kitchen counter top or an office table. Very easy to operate and clean. Back-lit control buttons, auto eject capsule system. 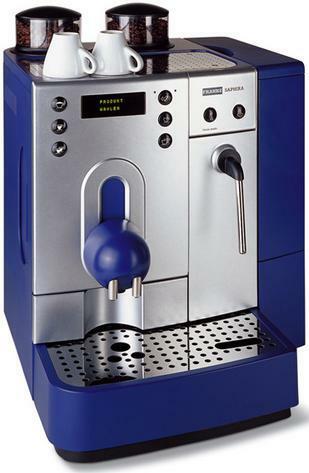 Saphira coffee machine 2 separate brewing temperatures, automatic rinsing, cleaning and descaling programme for coffee and milk foam touch-button direct dispensing. DoubleSpace kitchenette — a dual-burner electric stove that doubles as an easy chair. 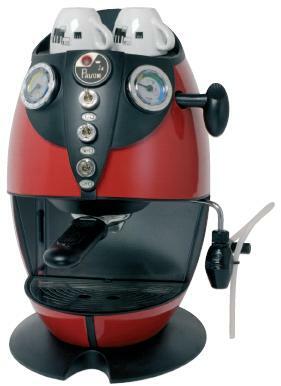 la Pavoni espresso machine– Cellini Push Switch Red Maranello. It is equipped with two gauges to indicate pump pressure and boiler temperature and has active cup warmer to keep cups warm. Turbo steam nozzle to heat and froth milk.